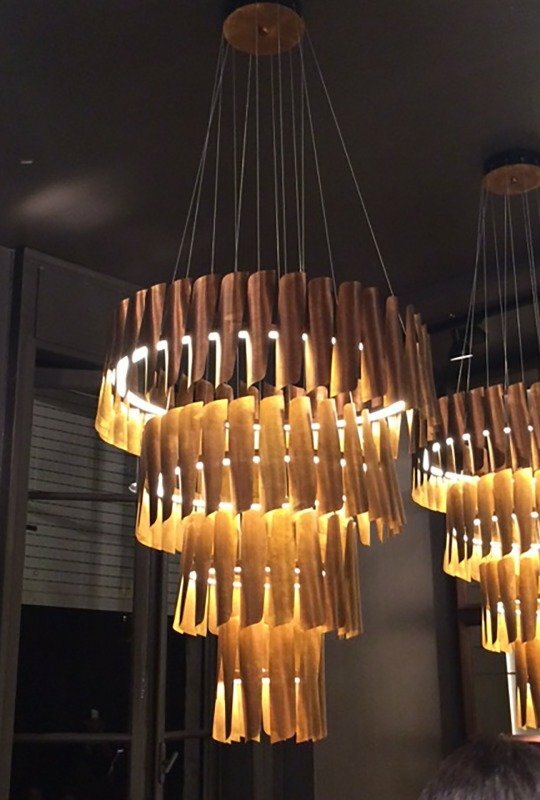 Adding a heightened sense of elegance to any commercial space is the BK Chandelier. A stunning cascade of burnished silver leaves to join Henge’s collection of versatile Ring light designs. techniques available in different sizes. Transformers inserted in the ceiling rosette, rings powered with low voltage through suspension wires.